The next Census will be taken 14 months after our next President is sworn in. Counting the entire population, just once and in the right place, is an incredibly complex undertaking with profound implications for American democracy. It must be done right. The Census is so important, the framers of the Constitution required it in the opening paragraphs. The data collected in April 2010 will form the basis of federal, state and local legislative districts for the next decade. But a long standing flaw in the Census undermines the basic democratic principle of one person one vote. The Census Bureau counts people in prison as residents of the prison’s town, not their home addresses. The Bureau intends to count these 2.5 million people — a population larger than our 4 smallest states combined — in the wrong place. The result will be a systematic inflation of the political power of districts with prisons while diminishing the vote of everyone else. Since the importance of the Census Bureau’s prison miscount was discovered shortly before the 2000 Census, advocates, lawmakers and social scientists have been urging the Census Bureau to update its methodology and change how it counts people in prison. The Census Bureau could have spent the middle part of this decade investigating the optimal way to collect and process the home addresses of incarcerated people. That planning time was instead spent stonewalling critics and ignoring proposals focused on incremental improvements. The Bureau’s failure to take concrete steps towards counting people in prison correctly makes it difficult for the new administration to insist that people in prison be counted where they actually live, not where they are temporarily confined. But the Census Bureau doesn’t have an excuse for not implementing the interim proposals that would greatly reduce the harm caused by the prison miscount in this Census and make a more complete fix in the future possible. 1. Instruct the Census Bureau to use direct enumeration not administrative records wherever possible to count people in prison. Ultimately, the Census Bureau should be counting people in prison as residents of their home communities, but the current administration is taking small steps in the wrong direction. Some states keep home address information in their official prison records, but in many cases collecting home address information is best done by using individual Census forms to collect this information directly from incarcerated people. After the 2000 Census, the National Research Council deemed the quality of the data collected from correctional facilities to be “poor” and blamed the Bureau’s higher than expected reliance on administrative records. However, rather than expand the use of direct enumeration on special forms in prisons, the Census Bureau is planning to eliminate them. Relying solely on administrative records to count people in prison will further reduce data quality and make several important advances impossible. Three recent National Research Council reports have urged direct counts of people in prison. All three reports believed that direct enumeration would be more accurate than administrative records, and all three reports encouraged the use of a special form that asked for an alternative address. The first two reports made this recommendation to facilitate de-duplication where data is accidentally processed twice; and the third did so as part of a multi-step proposal to modernize how all populations are counted. Collecting this alternative address information — if only for internal testing, tracking and quality purposes — would be an important step towards counting people in prison at alternative addresses in the next Census. 2. 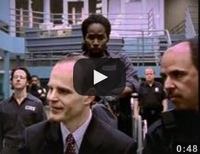 Use the 2010 Census to determine the best way that people in prison should be counted in the future. The Census regularly conducts research during one Census in order to improve the next. Currently, the Census Bureau is ignoring its own experts at the National Research Council who recommended that the Bureau conduct a major research and testing program during the 2010 Census to determine the best way to assign the correct address to people who are incarcerated on April 1. The Bureau should be testing how to phrase the question, what kinds of administrative data it should accept, and how to best digitize the results. Instead, the Bureau is planning to let this opportunity slide, which could push a major test to 2020 and ending the prison miscount to 2030. 3. Change how the data is published so that prison populations need not distort democracy. While it may be too late to change where people in prison are counted, if action is taken quickly, an Obama administration can change how the data is published and used. Publishing block-level counts of prison populations at the prison addresses would make it easier for legislatures to remove the prison populations at districting time. 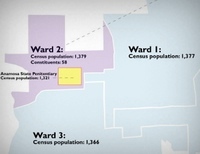 Currently, the “PL94-171” data published by the Bureau for redistricting purposes does not identify which populations are confined in a correctional facility, often mixing custodial and civilian populations in a single census block. When states and counties want to draw fair districts that do not include the prison population, they have three choices: try and match up Department of Corrections data; wait for publication of the Census Bureau’s “Summary File 1” data which contains a correctional count; or just guess. Jurisdictions covered by Section 5 of the Voting Rights Act have it even worse, because they can’t wait for the publication of the prison counts in Summary File 1. Further, because they must publish race and ethnicity data for each district, they find it difficult to reconcile the partially incompatible racial and ethnic classifications in the two data sets. Interest in drawing districts without prison populations is clear. Dozens of counties around the country already do these adjustments. They parse the data themselves, but it’s labor intensive and invites error. Nevertheless, as knowledge of the problem grows, more counties and even states are expressing interest. The Census Bureau is uniquely suited to provide this information, and doing so would have only the smallest of burdens on Census Bureau operations. Publishing an alternative version of the redistricting data that contained just the prison population at prison addresses would only require the publication of existing data in a different format several months earlier than the Bureau would have done otherwise. Of the 8 million Census blocks in Census 2000, less than 6,000 contained a correctional facility. Producing the four race/age/ethnicity redistricting tables for the population in correctional facilities in these blocks would be a minimal burden with wide-ranging and long-lasting benefits. The Census Bureau has been on notice for a decade that its outdated method of counting people in prison needs to be changed. Prison-based gerrymandering should already be history, but instead the Bureau is seeking to repeat and amplify the errors of the past. But if President-elect Obama acts fast, he can lessen the harm caused by the prison miscount and ensure that the 2010 Census is the last one to credit 2.5 million people to the wrong place. 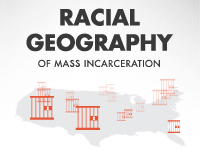 Recent report focusing on the Census’ methods of collecting and tabulating race and ethnicity data addresses prison gerrymandering.